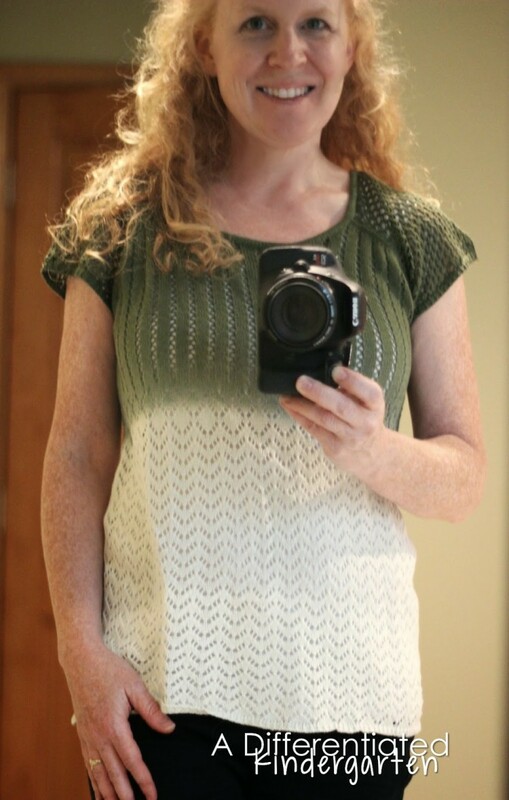 I am well of aware of the fact that it is not baseball season, but my latest StitchFix hit it right out of the park for me. Spoiler alert: I’m keeping it ALL. You know it’s a good sign when you come home in Stitch Fix only to find your new ‘fix’ arrived. I had gotten a couple of cute sweaters in my last box, and the Michigan weather of late has allowed me to make great use of them unfortunately. It’s been pretty nippy. So I was crossing my fingers that my stylist had something wonderful and Fall-ish in my latest box. She did NOT disappoint. Take a look at these colors . . . rich browns, olive and rust. I adore fall colors and this box was full of them. And I love when they show me how to wear my pieces, because, quite honestly, that’s the hardest part for me. I’m just so excited about what arrived in my box, so let me show you real quick. 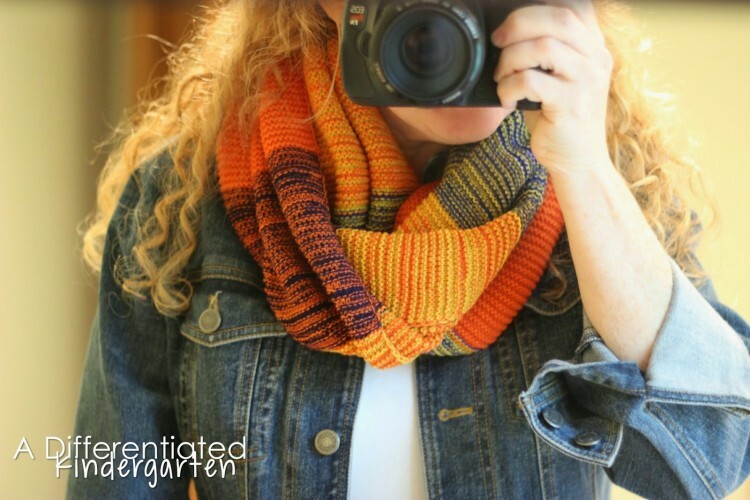 First up was this amazing Bennie Heathered Stripe Knit Infinity Scarf from Octavia. Look at these colors! There’s tons of orange, rust, gold and some flecks of blue that make it a perfect combo for jeans and a casual shirt. It’s so me! Next up, a Chrisley Raglan Seam Sweatshirt by Kut From The Kloth. When I first saw the description of this piece, before I had actually seen the piece, I thought ‘sweatshirt?’ But can see that is not your typical sweatshirt. At least it’s not mine. This one had a great weight, not too bulky, and I loved the born color. Just to give it some character, it also has a zipper and gold pulls running down the back. I loved the fit and the feel. It was definitely a keeper. A Cartwright Pointelle Ombre Cotton Top by Skies are Blue was next. I’m hoping for a couple of more warm September days before Fall is officially here so I can where it. Although the sleeves are a little shorter than I would usually choose, I love the colors Olive is a favorite of mine and I’m so glad it’s paired with a ivory color and not white. Stitch Fix has sent me several pairs of jeans, but I only have kept on pair of Kenzie Skinny ones a couple of fixes ago. 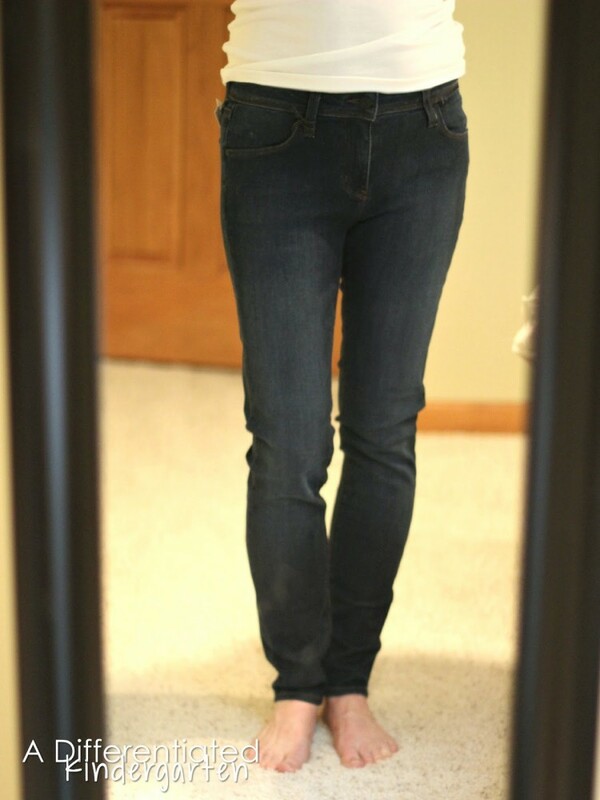 I love those jeans and didn’t think I’d find another I liked as well, but these Jimmy Ankle Length Skinny Jeans by Just Black are a great fit and with my short legs, that’s a miracle. I just had to keep them. 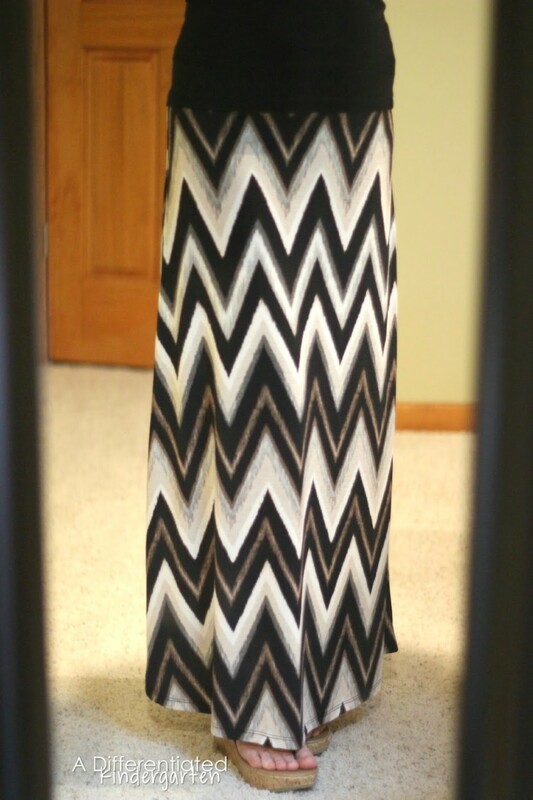 Finally, my stylist added a Kaley Chevron Maxi Skirt by Gilli (I have a green and black chevron maxi by Gilli that I love, too.). The colors where perfect for me. I could match this one up with all the black or brown tops in my closet easy. I just hope I see a couple more warm days this fall so I comfortable wearing it, because come snowy weather, any dresses that don’t include tights and a pair of boots are put to the back of the closet until April. So you’re probably wondering, how you can get it on this great gig of having someone pick out clothes for you, aren’t you? Well, let me give you a quick run down of how it works. 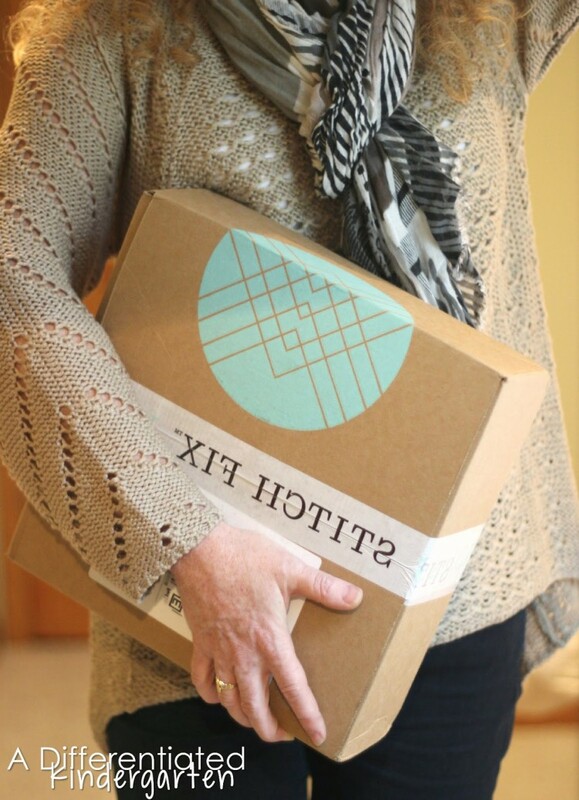 Stitch Fix is a personal shopping/stylist service that comes right to your door. Seriously, you get great clothes without ever having to step out of your sweatpants to go shopping. All you have to do is fill out a personal style profile and answer a few simple questions about your style and color preferences, and then for $20.00 a stylist picks out 5 items of clothing for you to try in the comfort of your own home. Giving your stylist information about your preferences, size Pinterest style picks and any special events coming up in your schedule really helps them select amazing pieces for you. And if you have a hard time ‘seeing’ how pieces should be worn, they even send you a style guide to show you different ways to wear your ‘fix’ with items that you may already have in your closet. (I like to call it my ‘how to dress for dummies’ guide, because I desperately need all the help I can get.) If you decide to keep a few or all of the items after trying them on, all you have to do is head on over to their site and check out. They apply your original $20 to the balance of your ‘fix’ plus you will earn 25% off you bill if you choose to keep your entire fix. In fact, that is exactly what happened with my fix this month. I decided to keep everything, all five pieces and I ended up with a total of less than $200. That means I got 5 pieces for an average of $40 each. I didn’t have to drive anywhere, I didn’t have to find a babysitter for my boys, I didn’t have to be bothered with sales people that wanted to kindly help me to a fitting room (I hate trying on close in a store.) and I didn’t have to dig through shelves and racks of clothes to find something that looked good and fit me. That’s a good deal in my book. But let’s say you don’t like anything they send you. Well, then you simply place all the pieces in the prepaid shipping bag included with your fix, and it all (or some) goes back. You don’t even have to pay for shipping. It’s amazingly simple and such a fun service, I just have to share it all with you. 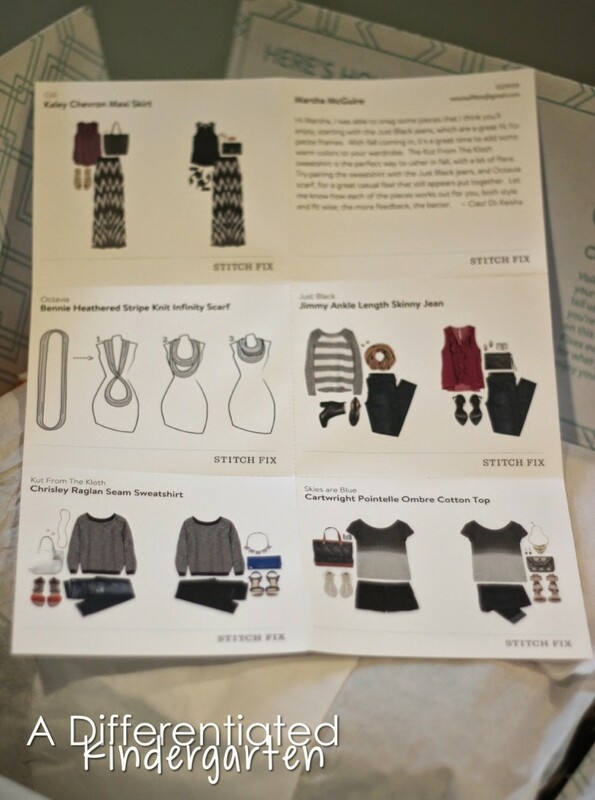 So, I’m giving away a gift certificate this month to one person to get them their own Stitch Fix started. All you have to do is enter below. I promise you, it’s a ton of fun and what do you have to lose? 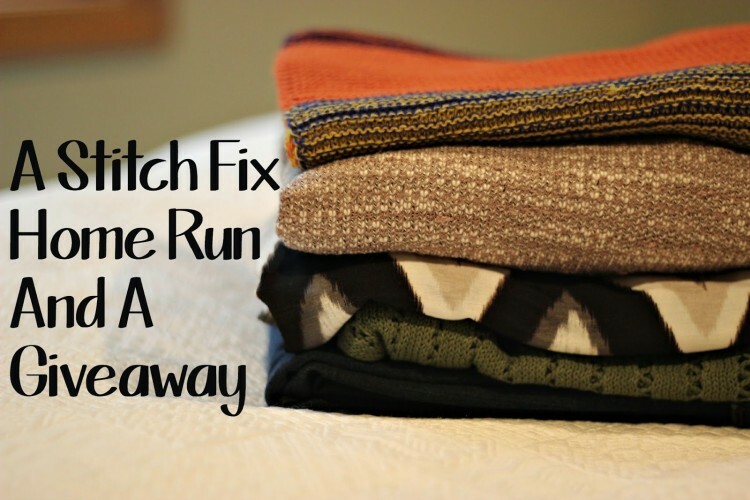 In fact, why don’t double your chances of winning by heading over to my pal Maria from Kinder-Craze‘s blog and enter her Stitch Fix giveaway too. It will double your chances to win, and you can check out her fix for this month as well. Your fix looked awesome. 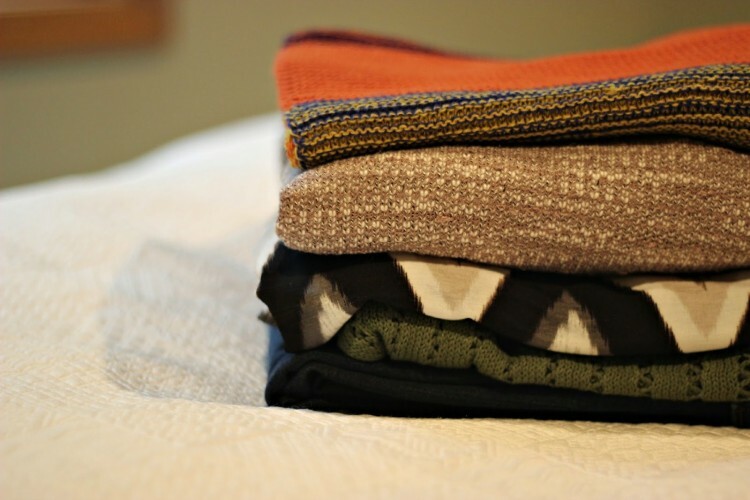 I wish I lived where I had cooler weather to get some of those great sweaters. I don’t think I couldn’t handle it in my 90 degree weather. LOVE the scarf! Why have so many bloggers gone to the side bar wiggling? Your sidebar… Follow my emails, Archives, search, and popular posts jiggles like jello. It gives me a headache! Please remove the jiggling. 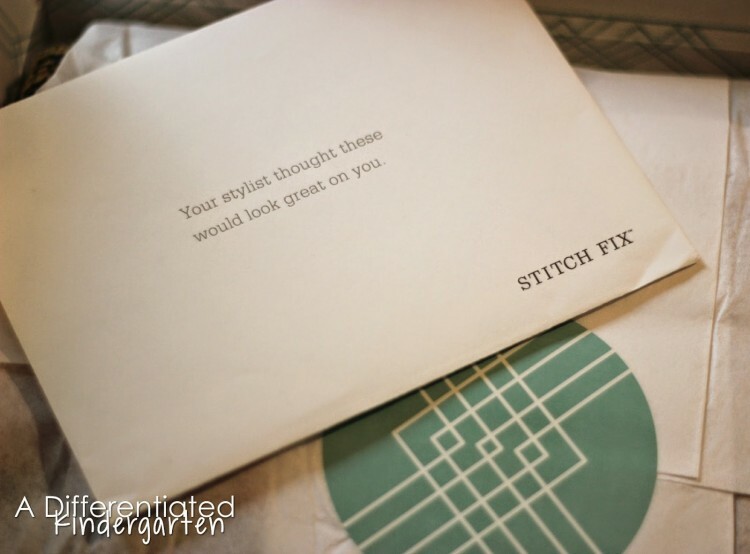 I think I may need to give in to Stitch Fix soon! I have seen so many posts about it from fellow bloggers and on Instagram, etc and it is starting to seem like such fun! Yours looked like a great find! 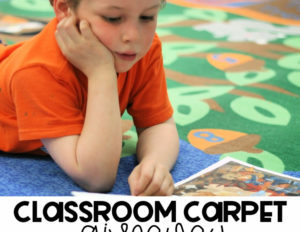 I would love a whole fix of just scarves – yours was beautiful! I love surprises in the mail too! I Love everything in your fix this month. I’ve had 9 so far and only 1 did I not keep anything. That skirt is adorable and love the scarf. Oh I love that scarf and that maxi skirt looks really gorgeous! For sure, you will look great even when the weather is cold. Nice fix!